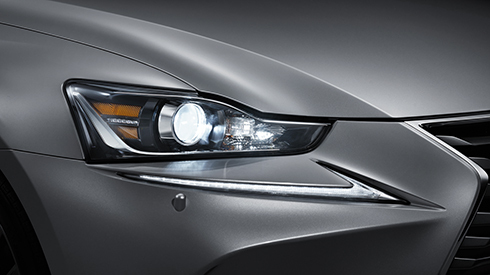 The outer lines of the headlamp flow above the LED DRL (Daytime Running Lamp) then converge, to create a unique sharp-eyed look. 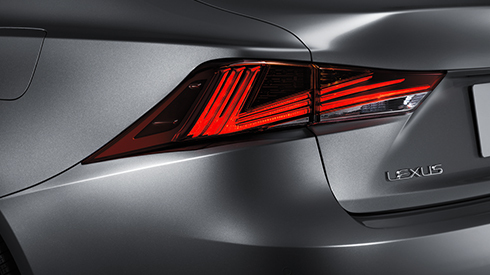 The 3-eye LED low beams illuminate in an L shape, evoking a next-generation Lexus identity. The Bi-Beam LED headlamps switch between low and high beam to generate a bright light for excellent visibility at night, while reducing power consumption. 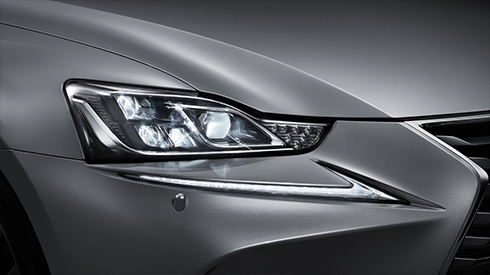 The arrowhead-shaped LED DRL emits a subtle Lexus signature. The bold lines and layered structure of the L-shaped rear combination lamps exude tension, emphasizing the IS’s bold wide stance. The multiple LEDs in the tail and stop lamps illuminate in a deep glittering L-shaped display, accentuating the Lexus presence. 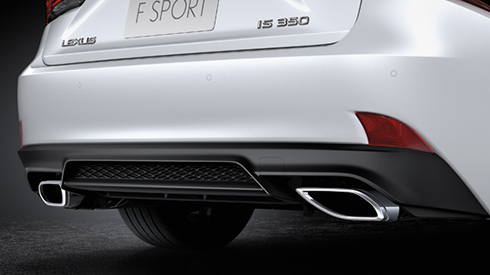 Refinements that express the continuing evolution of the IS as a premium sports sedan include the adoption of rectangular chrome exhaust pipes that accentuate its sporting nature. 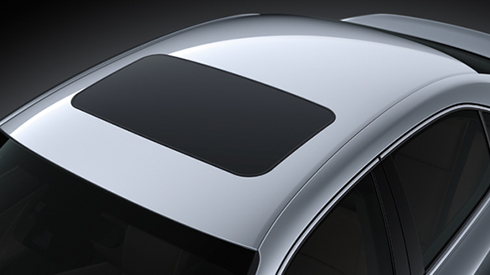 The moonroof lets ample light and fresh air into the cabin, expanding the feeling of space and driving enjoyment. It opens and closes, tilts up and down at the touch of a button. A low-speed motor provides quiet operation. Note: Please inquire at your local dealer for details on the availability of features. 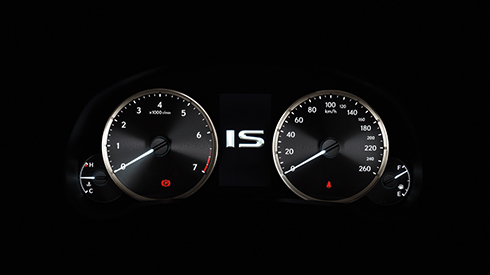 This function coordinates the display of information from the multimedia systems on the 10.3-inch EMV (Electro Multi-Vision) display in the center of the instrument panel and the 4.2-inch color TFT (Thin Film Transistor) multi-information display in the center of the meter cluster. 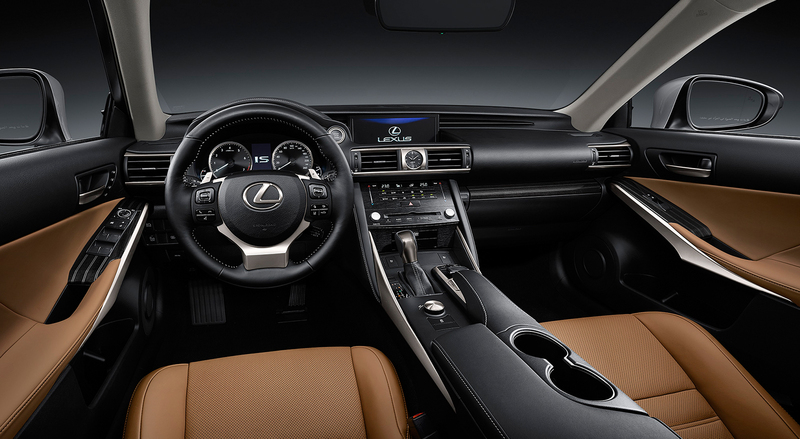 For convenience and easy control, audio system, incoming mobile calls, and some navigation information on the EMV display can be displayed on the multi-information display, and controlled using switches on the steering wheel. The self-illuminating 2-eye Optitron meters provide vital driving information at a glance. The combination of plating on the outside of the meter ring and satin-look plating on the inside evokes a feeling of sporty quality, heightened by the spin finish on the dial plate. 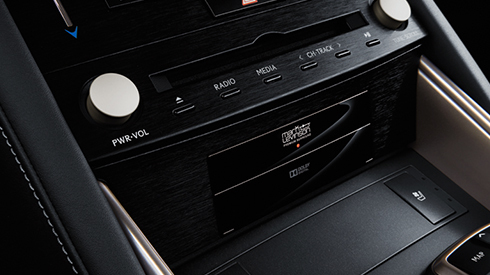 The Mark Levinson Premium Surround Sound System features a compact 12-channel amplifier to drive 15 GreenEdge ultra-high efficiency speakers that generate outstanding output while significantly reducing energy consumption. A 5.1-channel surround system contributes to the high fidelity, concert hall-quality sound. Optimal tuning of the speaker output helps to realize superb sound quality that heightens the emotional pleasure of listening to music. 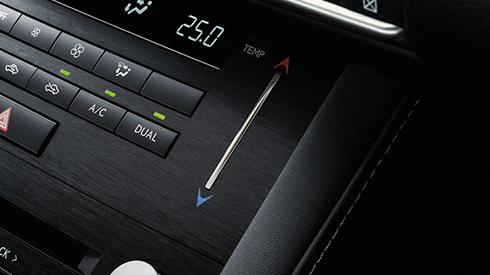 The innovative electrostatic temperature controls located in the center console enable quick and intuitive operation of the air conditioner with the touch of a finger. 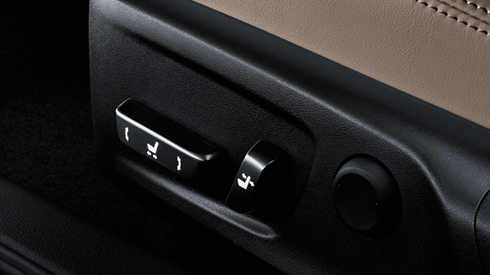 To optimize individual comfort, temperature settings for the driver and front passenger seats can be set separately. 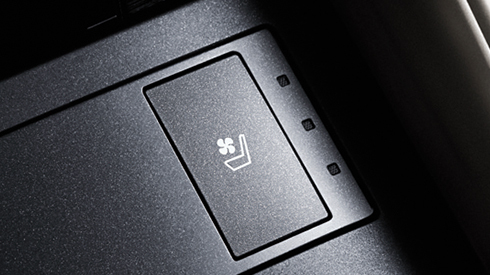 Simple operation that includes enter switches integrated on both sides and a back switch lets users interact intuitively with the navigation and audio systems on the 10.3-inch EMV display, for easy control of the systems. 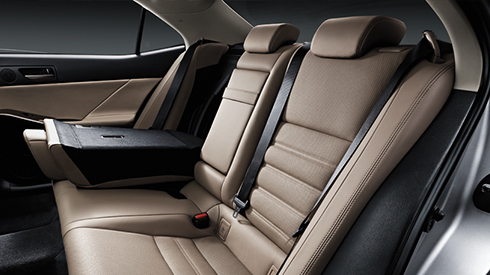 Ventilated Seats for the front seats provide individual comfort. 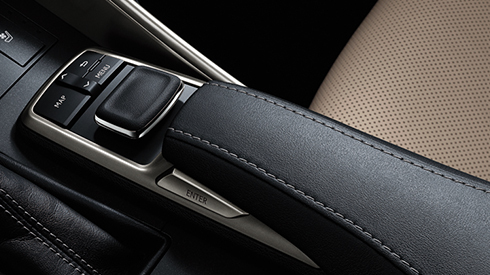 They use an integrated blower-type fan that provides quick and powerful performance, pushing air through the seatback and seat cushion to eliminate the humid feeling associated with leather seats. 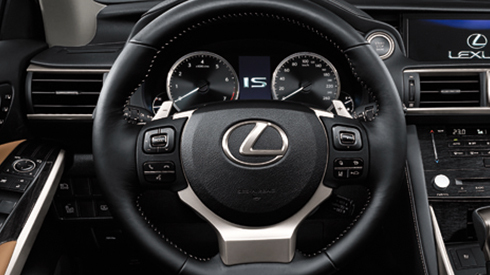 Switches integrated in the steering wheel provide quick control of the multimedia systems without taking your hands off the wheel. Their square shape enables easy recognition of top/bottom and left/right operating directions. The metal ornamentation provides a stylish finish. 60/40 split, fold-down rear seatbacks combine with the ample trunk space to provide versatile and flexible luggage carrying capacity. The fold-down mechanism makes it easy to fold down one or both sides of the 60/40 split rear seatbacks, to enable the carrying of items approximately 150cm in length. 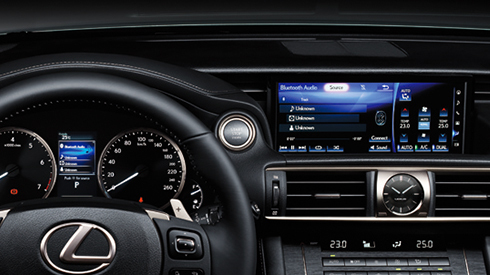 Balancing exhilarating performance with thoughtful functionality is the hallmark of Lexus. 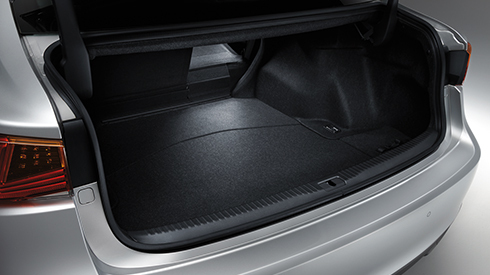 A good example is the intelligent layout of the rear suspension, which contributes to the ample capacity of the trunk, with room for three full-size (9.5-inch) golf bags. The front seats have 8-way power adjustments to let individuals with a wide range of physiques tailor the optimum position of comfort and support required for focused sports driving. The adjustments include slide, tilt, lifter and recline. The driver’s seat also features lumbar support adjustment. 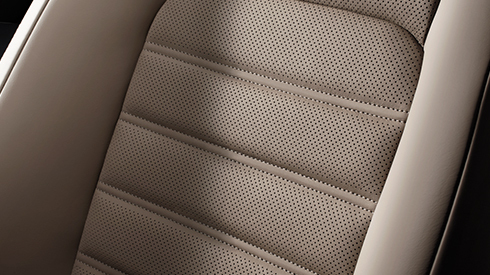 The renowned Lexus attention to detail, refined through the sport-focused approach of the IS, is evident in the quilted seat cushions. Emphasizing the 3-dimensional feel of the material, they accentuate the dynamic expression of athletic strength and sporty ambience of the interior.